Going into this book after watching four seasons of the TV show, at first, was very difficult. The first couple chapters I just kept comparing the book to the show, but the more I read the more I realized that I had to look at the show and book as completely different things. There are some elements to the show that I like more than the book and vice versa. Colleen Hoover is an author that I’ve heard a lot about and I’ve never read one of her books before. November 9 was the book I heard the most about and I decided to finally read the Kindle edition that I had. I really enjoyed this book. The story of Fallon and Ben’s love story was so much fun to read. I really enjoyed Rogue One and thought Alexander Freed did a good job at fleshing out the story and characters even more in this adaptation of the film. I think one of the reasons it took me so long to read this book was because I’ve seen the movie multiple times and since I already knew what was going to happen in the plot, I just wanted everything to progress faster, but since this was a novel that wasn’t the case. That in no way means that this book is slow paced, it’s just a personal thing with me as a reader. So, I think that plus the “Supplemental Data” sections were what brought this book down for me. It’s still a well executed book that gives you great insight into the minds of these characters and explores their connections even more than they were in the film. Overall, I did enjoy Rogue One: A Star Wars Story by Alexander Freed and I’d give it . I’d also recommend it to any Star Wars fan or any fan of the Rogue One film. Rupi Kaur once again draws me into her world of pain, yet hope. I absolutely loved her first book, Milk and Honey and this second book did not disappoint. The imagery and the way Rupi expresses herself with words is so vivid, which makes it all the more enjoyable for me to read her work. I found myself getting lost in all of Rupi’s pain and self-loathing, but then being warmed by her descriptions of love for herself and others in her life. I will say the stand out poem in this collection to me is “Home”. It was so powerful and actually made me start crying. It hit me so hard and I just found myself needing to take a second to collect myself before I read more. “The Art of Growing” was another stand out poem, along with “Broken English”. Both of them were so powerful in the message Rupi was trying to express in them. It’s just so inspiring and amazing to me to read everything Rupi has been through and how she hasn’t let it destroy her. Her work makes me feel like I’m not alone when I’m feeling low or hopeless and makes me hope that one day all the darkness will disappear to let the light in. Overall, I adored The Sun and Her Flowers as much as I adored Milk and Honey and I’m going to give it . 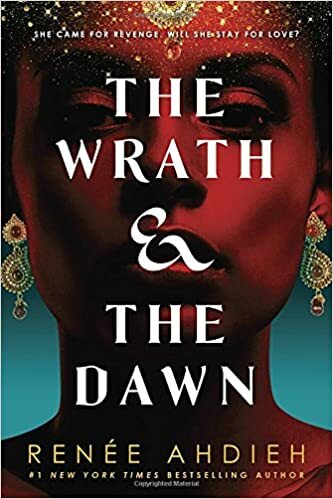 If you liked Rupi’s first book then I think you’ll enjoy this one, but I can understand how her work/the subject matter of her work is not for everyone. I’d still recommend you give her work a chance though because it is really enjoyable and thoughtful. So, I decided to reread the books simply because I was feeling a little nostalgic after the series finale of the TV show, not so much for the show, but for the books. 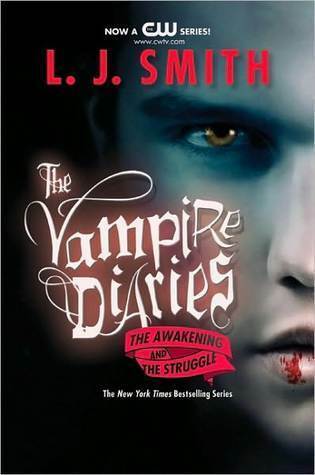 Now, the one thing I clearly remembered from the first time I read these books, which I think was almost ten years ago, was how much I hated Elena Gilbert and after finishing the books I can say those feelings were justified. So, when I started this book, I wasn’t sure what I was getting into. All I knew was that a lot of people really liked this book and the plot seemed interesting. At first I thought everyone had lied to me or that this just wasn’t the book for me because I did not enjoy it. For the first 170 pages, I honestly was not enjoying this book. It almost felt like a chore to get through it. I didn’t care about Tariq or Jahandar, so when chapters popped up dedicated to their POV, I found myself wanting to skip it entirely, but knowing I couldn’t because they were most likely important to the plot. Shahrzad and Khalid’s parts were interesting, but still not grabbing my attention. A part of me feels like a lot of this had to do with the fact that Renee Ahdieh takes her time setting up the story, which isn’t a bad thing, but doesn’t make for an exciting, attention grabbing beginning. The other thing is I’m quite ignorant of the culture that is depicted in this book so it was sometimes hard to follow and it also took me forever to realize there was a glossary in the back to help me understand, so once I found that, it helped me understand a lot better. Okay, so this was a really cute book. I really loved the relationship between Maddy and Olly, even though I thought the love developed a little too quick for my liking, but I can get past that. I loved Carla and found it fascinating how she felt more like Maddy’s mom then Pauline did. The reveal near the end of the book was a little surprising to me, but I did start suspecting something else might be going on that we weren’t aware of in the beginning of the story. Really didn’t like the ending. To me it was as just as unsatisfying as Eleanor and Park‘s ending. I mean, it was in no way as bad, but I just wasn’t happy with how suddenly it ended. You couldn’t give me like a page or two more? I understand why Nicola Yoon decided to end it that way, but I’m not a fan of it. I do really like Nicola Yoon‘s writing style. I loved how she told the story in a way that kept the story moving without it dragging, but still kept it entertaining. Just because the ending wasn’t my favorite, doesn’t mean I don’t want to read her other books. Actually it’s the exact opposite. I would love to read more of her work and get lost in these worlds she creates. I also really enjoyed her husband, David Yoon‘s, illustrations. Those were also another nice touch to keep the reader engaged in Maddy’s world. Overall, loved the story, disliked the way it ended. I would definitely recommend this to anyone that loves quick, cute teen romance novels. 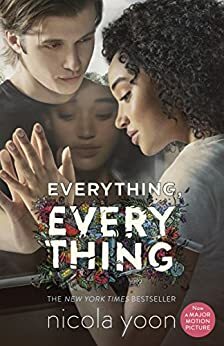 I’d give Everything, Everything by Nicola Yoon .